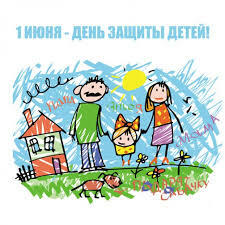 On 1 June children celebrate their day in Belarus. The first day of summer brings break from school, lots of free open-air concerts, markets, and other attractions. Currently, more than 1,7 million children live in Belarus and about 25,000 among them do so without parents. The number of children in custody stays relatively stable at 25,000 with predictable peaks in times of crises. Belarus struggled in the 1990's as the number of orphaned children tripled and resources remained scarce. Since then it has adopted some of the best international practices and national legislation improving the standards of life for orphaned children while bringing the costs of care down. The term 'social orphans' describes children who live in foster care or orphanages and have living biological parents. They amount to about 80% of all children under state custody in Belarus. Belarus looks relatively good compared to the situation in Russia, but in the EU and US orphanages have become obsolete. Since the number of such children has steadily increased since 1993, new legislation was drafted in 2006 in Belarus. Referred for short as Decree No. 18, it became the single most important legislative act regulating how, when and who got to decide the fate of such children. It established a coordinating body, the Committee, between law enforcement, health care, education, and social services. Now, the Committee scrutinises the lifestyle of a particular family suspected of neglect toward their children. In theory, they have to work with the families to prevent the worst case scenarios such as the lost of custody over children. If the Committee finds the parents unfit to perform their responsibilities, the government has to step up. Most often than not the parents suffer from alcohol or drug addiction, have had incarceration history, and are constantly unemployed. But while they failed as parents, the decree states, they could still continue to work and reimburse the cost of childcare to the state. In 2014, 2644 parents lost custody of 3110 children. The decree introduced a two-tier approach to dealing with such families. Initially if found unfit, parents may lose custody for up to six months. If there is a chance of finding a job, giving up addictions, normalising their lives there is a possibility of gaining custody back if they are in compliance with the plan designed by the Committee. After six months with no obvious improvements, the court may decide to take the children forever from such a household. The biggest positive changes for children in custody came when Belarus committed to shifting from orphanages to family foster care. According to Child Fund International data, since 2004, the number of children put in institutions decreased by 65%, and the number of such institutions went down by 40%. Increased preference for foster care potentially means better quality life for children, but also fewer expenses for the state. Each year, since 2007, has seen a consistent decrease in the number of children in orphanages. For example, the numbers dropped from 34% of all children in institutions in 2004, to only 13% institutionalised in 2014 according to a UNICEF report. In 2010, President Lukashenka announced that orphanages should cease to exist, and all children must live in families. Attachment theory tells us that a child needs at least one reliable adult in their lives who can provide care and support for them on the permanent basis. These goals are impossible to achieve in the institution environment. Only family type care can do it. We aimed to create an alternative system to orphanages that would help parents to embrace their responsibilities, and become better at it. Or develop a system of alternative family type care for children who cannot stay with their biological parents for different reasons. We also needed to shift the attitudes among child protection specialists from punishing to empowering parents. Certainly orphanages continue to operate in 2016, and so do the facilities for disabled children in custody. The number of such institutions has even grown from 9 to 10 in 2015. These children require intensive care, might never graduate to independent living, rarely get adopted, and if adoption occurs, it is usually into foreign families. The majority of best practices introduced by international actors in child protection came from the US model called Parent Resources for Information, Development, and Education (PRIDE). This model strengthens the quality of family foster parenting and adoptive services. Simply put, everybody could become a better foster parent with a little bit of help. But some children will never find either foster or adoptive parents, as after a certain age, namely between 10 and 17, the chances of adoption decrease significantly. In 2014, 17,234 children lived in foster family arrangement in Belarus while another 10,478 were adopted. However, only 53 children out of these 10,000 adopted in 2014 were between the ages of 14 -17. This calls for very specific services designed for such children who have spent their adolescence in orphanages. Only a few who start adult living independently integrate well. As data shows many of them engage in risky behaviours, and incarceration rates reach up to 80% for such children. Statistics also show that they often fail as parents too, and this leads to an ‘institutional cycle’, a condition where children who grew up in orphanages end up sending their kids to orphanages. Some of the projects attempt to create a sense of belonging for adolescent kids who fall through the cracks of state and family care. They include after-classes activities, which teach them basic life skills like personal finance, self-care, and job search techniques. Most importantly they keep these children off the streets during after school hours. Providing quality life standards for children in custody is certainly humane, but also constitutes a social and economic investment not only in children themselves but in the nations’ security and stability. However, such initiatives are few, scarce, and chronically underfunded. As Belarus struggles to provide long-term comprehensive support for such children, it seems a lot more could be done with the infusion of international funds and expertise in this field. According to official statistics for April, Viciebsk region owes more money to public sector employees than the rest of Belarus combined. 133 enterprises from the region owe $3m to their workers. One employee even climbed on a crane to demand payment of his salary arrears. Currently a quarter of enterprises are loss-making and some are even bankrupt. Even Naftan refinery, the major enterprise on which the whole region remains over-reliant, made 30 times less money in 2015 than in 2014. The region is experiencing depopulation, and property prices in Viciebsk have dropped more than in other Belarusian towns. It seems that with the outflow of human capital and in the absence of moves to improve public administration and the economic system, the region has no future but further degradation. Viciebsk region, located in the north west of the country, is the only Belarusian region which borders three other countries: Latvia and Lithuania to the north and Russia to the east. A few well-known people have origins in the region, such as artist Marc Chagall, writer Vasil Bykau – probably Belarus' best – and Belarusian president Alexander Lukashenka. The region has quite poor soil and a cold climate, so agriculture is not its strong point. However, Viciebsk region has a developed industrial sector, especially its oil and chemical industry. The Naftan refinery based in Navapolack is one of two Belarusian refineries, surviving on cheap Russian oil and significantly contributing to the state budget. Like all other Belarusian regions except Minsk, Viciebsk has been facing depopulation for a long time. According to official data, between 1996 and 2016 the region's population decreased from 1.4 million to 1.2 million. All Belarusian regions are suffering from the economic crisis more than Minsk. According to official statistics, salaries dropped by several percentage points more in the regions than in the capital and migration is flushing out the human capital needed for regional development. But there are a few bits of evidence that show that Viciebsk region is experiencing these pressures more than other regions. In April 2016, 167 Belarusian enterprises owed debts to employees, according to the Belarusian Statistical Committee (Belstat). 133 of them were based in Viciebsk region. A number of workers have not received payment for several months and feel increasingly desperate. 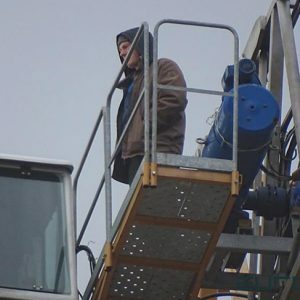 On 28 April, a Viciebsk resident climbed on a crane in Minsk demanding payment of the $4,000 that he was owned from his employees. Companies are failing to pay wages because many of them remain heavily in debt. Naftan refinery traditionally provided salaries and contracts for the entire region. But in 2015 the enterprise earned only $4m, 30 times less than in 2014. The company has also been subject to several corruption investigations in recent years. As Naftan's income has significantly reduced, many other companies have became loss-making. According to Mikalai Snapkou, deputy head of the Presidential Administration, more than a quarter of the region's enterprises worked at a loss in 2015. Several companies are undergoing bankruptcy or readjustment. One story stands out here. On 10 June, a Belarusian court will announce its decision on Hanna Shareika, former member of the the upper chamber of the Belarusian parliament. Previously, she chaired the Viciebsk broiler farm, which was then one of the most profitable enterprises in the region. But after Shareika’s arrest in 2014, the company became loss-making. According to Shareika, the company lost around $12m in a year and a half. So far, the Court has dropped most charges against Shareika and the whole trial illustrates that law-enforcement agencies by their actions are contributing to weak economic development. The entire region is losing hope for the economic future, so even the prices of apartments have fallen here more than in other regions. According to Realt.by, the major site for real estate in Belarus, prices for apartments in Viciebsk have fallen by 50 per cent over the past two years. At the same time, 1,100 fewer apartments were built in Viciebsk in 2015 compared to 2014. Viciebsk's development strategy remains similar to other regions. The main difference is that low oil prices have made the problem obvious. And the public administration cannot recover economic growth, as the Belarusian economy remains over-dependent on a few state-run enterprises like Naftan. So there is no solution other than liberalising the economy and making it more diversified. Apart from changes to the political economy, Viciebsk region needs new managers with better ideas. Currently, rulers of the region and central government lack good policy proposals for how to fix the problem. Officials' statements only set different targets. According to the chairman of the Viciebsk Region Executive Committee Mikalai Sharstniou, "200 enterprises should be created in Viciebsk region in 2016". Meanwhile, according to deputy head of the Presidential Administration Mikalai Snapkou, "investments in the region should not be less than $2.5bn in 2016-2020". It is no accident that these officials use the passive voice in their statements. No one is taking responsibility for creating these enterprises or bringing in investment. Free elections, or at least co-option of competent representatives from the opposition elite, would bring more accountability and transparency to public management. But while such changes remain unrealistic, ordinary people have no choice but to leave the region. In just 15 years, the number of school children has dropped from 204,000 to only 111,000 in 2015/2016. There are several factors behind such dramatic depopulation, but one thing seems obvious – with the flight of human capital and without real changes, Viciebsk region will further deteriorate.